We can live life carefree but not without insurance. 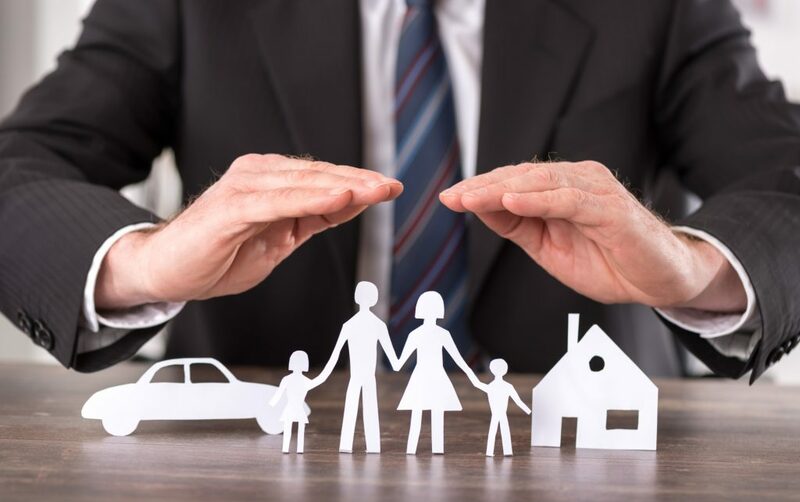 Though it may seem like a waste of financial resources, insurance is the lifesaver we all need. Distinct types of insurance plans safeguard aspects of your life that need a life jacket. A life without medical insurance risks your health and finances. Medical bills account for most personal bankruptcies. Forgo car insurance and you can lose your license. And, most lenders won’t approve a mortgage without homeowner’s insurance. To map out your financial future and secure plans for your well-being, you need insurance. Read on to discover the types of insurance plans everyone should have. A plan to insure your health goes without saying. Health insurance is the single most important type of coverage to have. Health insurance covers preventive care for adults, children, and women. Preventive health services involve taking steps to prevent disease. Check-ups and screenings keep you in good health. Good health keeps you working so you can earn income and secure wealth. It also helps people maintain a good quality of life. Without proper health coverage, chronic illness and disease go undetected. Untreated infectious diseases put the lives of you and your family members at risk. Worse, your health deteriorates because you can’t get the care you need. Look for a full coverage plan. Speak with an insurance professional about the best type of health policy. Learn more here. No one lives forever, but our loved ones survive with our memories after we’re gone. Don’t leave them without financial resources in the wake of your passing. Life insurance turns your spouse, children, or another person of significance into a beneficiary. In the event of your death, the insurance contract pays the beneficiary a lump sum of money. Coverage of final expenses: Funeral costs, mortgages, and pending debts. Supplemental income for a surviving spouse: For spouses who don’t work or stay-at-home. Life insurance helps replace lost income in the event of your passing. Policyholders can choose between two types of life insurance—term life and a permanent plan. Term life insurance covers a period of one to thirty years. A policyholder only benefits if they perish within the term. Whole life, or permanent life insurance, pays out whenever you die. You may live past one hundred years old, and the coverage continues. Driving around without automobile insurance affects your finances and driving privileges. If you get into an accident while uninsured you could pay a fortune out of pocket. For accidents that involve bodily injury, the average cost is around $15,400. Without injury, expect to dish out $3000 or more. Considering the average person only has $5200 in their savings, an accident could cost you everything. Not mention, you risk incarceration and having your driver’s license suspended. Some states allow to take out the bare minimum, saving you a bit out of pocket. Shop around online and compare quotes with different companies. Car insurance is more than a need, it’s a requirement. More people are forgoing the heavy load of traditional mortgages and renting instead. It’s less of a financial and physical burden. But there’s a downside to renting. Your priceless valuables aren’t protected in your rent payment each month. That’s why you need renter’s insurance. In the event of a break-in, everything you own becomes like Candyland to a thief. Your electronics, furniture, clothes, heirlooms—everything! Unless the authorities recover everything for you, you’re at a complete loss. Renters Insurance protects what you’ve worked hard for. Your personal property has coverage up to a certain limit. The insurance company pays for the cost of repair or to replace damaged or stolen property. If you damage someone else’s property, you’re covered under the liability protection. Renters insurance also covers hotel expenses if the rental gets rendered inhabitable. If you borrow money from a lender for a home, you may have to take up homeowners insurance. In some cases it’s voluntary. But most banks want to have their asset insured. Homeowners insurance covers loss and damage to a home as well as assets inside. Like renters insurance, liability protection shields the homeowner. It protects the owner against incidents and accidents that happen in and outside of the home. Property insurance may not cover you if your home acquires damage from an earthquake or flood. Insurance companies relieve themselves from responsibility due to acts of God or war. When you set up your policy, ask to include extended dwelling protection. This coverage gives you cushion above your homeowner policy limits. Every type of insurance policy has its limits. In some instances, you get what your money’s worth. More coverage means a few extra pennies. But it washes out in the end. Yet, you have the option of rainy day coverage. Umbrella insurance pads your existing liability coverage. It shields you from large claims and lawsuits. For all the aforementioned coverages, umbrella insurance provides protection above their limits. When your homeowners or auto insurance limits exhaust, umbrella coverage begins. Claims, property damage, and injuries outside your monthly premium fall under the umbrella. With umbrella coverage, the insured can get up to $1.5 million dollars in extended liability. There are all types of insurance plans—auto, life, homeowners and more. You need them all. Look out for yourself and the lives of people around you. Speak with a professional to compare rates for different coverages. Get insured today. Look out for your financial future. Take a look at our toolkit for more money management tools.